Today, I managed to get up to Sea-Mar before they closed and get some hardener. From Harbor island to Fisherman’s terminal in 25 minutes! 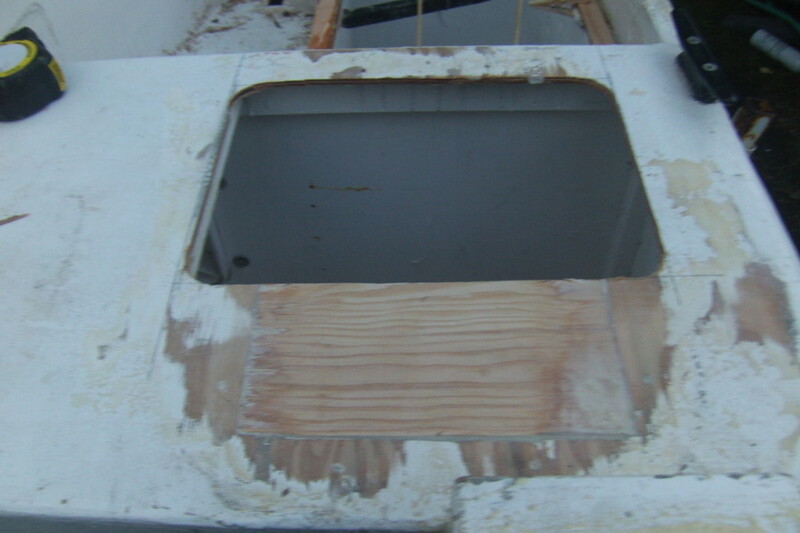 Once I got home, I got to work in the back yard, moving along with the hatch replacement. 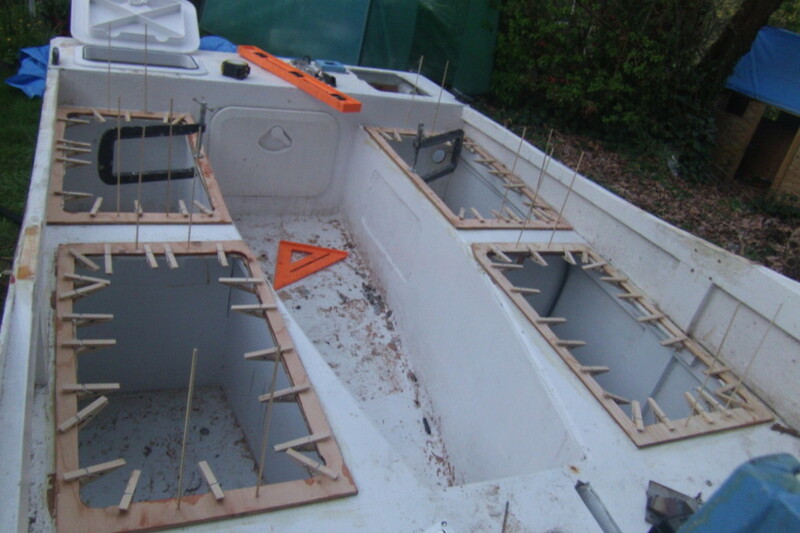 I’m happy to say the coaming install went well. The bamboo skwewers are in there as alignment dowels; to fit these coamings, I mocked up the fit with a hatch and the coaming. Then, I drilled four of the mounting holes. Once I applied the epoxy, I inserted these bamboo skewers in those holes to align them. then it was just a matter of applying a bazillion clothespins as clamps to hold it while the epoxy set. I’m also trying something new; this time of year it is damp in the mornings. lots of dew. it;s also so cold that paint takes forever to dry and epoxy takes forever to set up, even with fast hardener. So this time I did a little bit of an experiment. I tented the back of the boat with an electric blanket, and then put the tarp over it. hopefully, the electric blanket keeps it just warm enough to keep the condensation off. It’s worth a shot. The Lazarette hatch reconfiguration also turned out good. Here it is, after sanding down the excess epoxy. 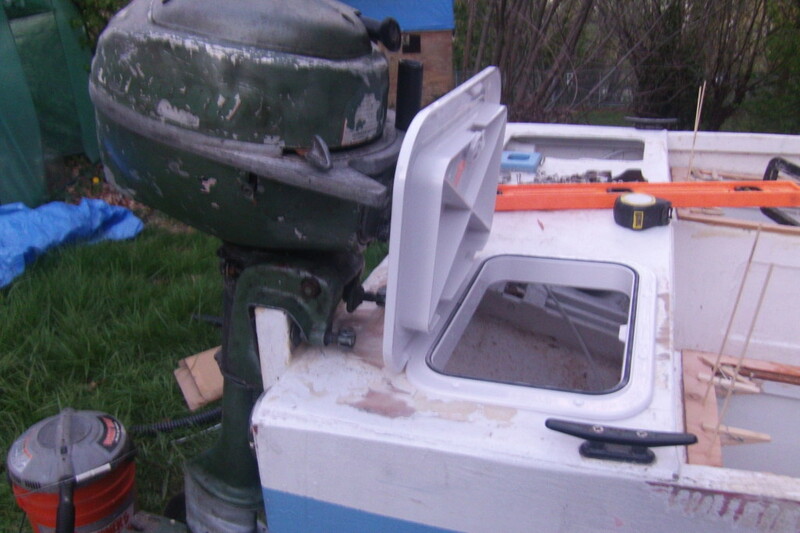 Here’s a shot with the hatch in the hole and the outboard on. This will enable me to use the aft lazarette as a fuel locker when I go out with my family. I may get the paintwork done this weekend. Hopefully the weather cooperates. if it does, things should start going together very quickly. from here on out, as most of the rest I have to do is already started, and composed of smaller, more manageable tasks. And just to throw it out there- I’ve got a GoFundme link on our Donations page. i’m doing this on a shoestring, but soon I’ll have to scrape together some cash for some big ticket safety items, like the VHF radio / GPS, and the Drysuit. any donations would be greatly appreciated.